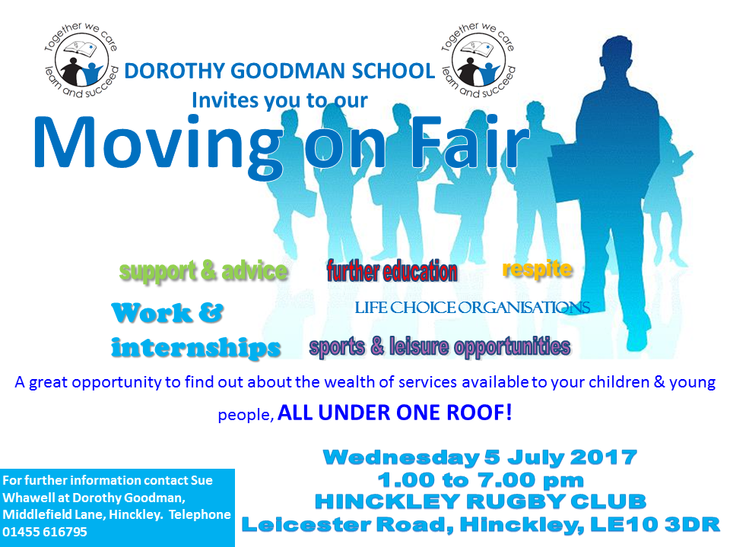 Come along to our Moving on Fair at Hinckley Rugby Football Club on Wednesday 5th July 2017 between 1 and 7pm. There will be plenty of support and advice on further education, respite care, work & internships. As well as drop in sessions with COUNTY TRANSITIONS, EDUCATIONAL PSYCHOLOGIST PASTORAL and COMMUNICATION & HEALTH TEAMS.